Lazer Monaco review: crash helmets for sale section. For other helmet reviews choose either all crash helmet reviews or only SHARP 4 & 5 Star reviewed crash helmets. Summary: A well built four star flip up crash helmet with a terrific photochromic visor as standard. Available in carbon or glass fibre, it has great ventilation and is well thought out. An excellent buy. 1.35 Kg – World’s lightest flip up? Lazer’s launched its new Monaco modular (flip up) crash helmet with both a carbon fibre or glass fibre outer shell. The carbon fibre version is lighter than the glass fibre version and is the one tested at the SHARP labs to score four out of five stars, so we’ll focus mainly on that one here. Having said that, the glass fibre version is around £75 cheaper, which might be the deciding factor if you want one. Both versions feature multi-layered construction with fibres of different densities and directions being used to produce a composite which is designed to reduce impact and add durability on impact – basically so it doesn’t split and and is able to absorb shocks well. The four star SHARP rating shows that it does this very well, especially for a flip up helmet. So that’s a big point in the Monaco’s favour. It’s also especially good going when Lazer claim the carbon version is also the world’s lightest flip up helmet. OK, onto the features. It’s far from a noisy helmet but lacks a little padding around the ears – probably due to the space for bluetooth speakers the crash helmet’s wired up for. However this does mean it’s only an adequate performer here – many flip up helmets suffer in their ability to suppress wind blast and while being adequate (especially if you usually wear ear plugs) the Monaco continues this trend. Simple mechanism allows for the chin guard and visor to flip up. Ventilation, on the other hand, is particularly good – it’s got the usual chin and forehead vents, but also has exhausts on the crown and at the size of each visor, encouraging airflow over the inside of the visor. It’s reported as having excellent ventilation, though it has to be said we’ve not heard from anyone talking about how the visor performs in a downpour (if you have, please get in touch below to let us know how you got on – does it steam up badly or keep everything clear?). All vents in the helmet are easy to operate while wearing gloves. Thank goodness most manufacturers seem to be getting this bit right (though I still never quite know whether a vent’s open or not – but that could be just me!). There’s also a decent chin curtain at the bottom of the helmet which cuts the amount of draught getting up inside the helmet from around the neck and also helps reduces wind noise a little. Looking to buy a Lazer? We recommend SportsBikeShop (UK) for outstanding service, great prices (including price match) and free delivery. Or if you prefer to buy in Euros, you could try FC-Moto (Ger) who carry a really wide range of helmets with competitive prices. Please see here for more info on these retailers or click the links to go straight to their Lazer helmets pages where you'll find the latest helmet designs and deals. On to visors, and this is where things get particularly interesting. The Monaco is Pinlock-ready as standard and a Pinlock should come in the box (whichever retailer you use, check there’s a Pinlock included first) which of course will help enormously to reduce/obliterate misting in rainy conditions. But that’s not the interesting bit. No, what is interesting is that the Monaco is fitted with a photochromic (i.e. light sensitive) visor as standard! This means, if it’s sunny, it’ll quickly change the tint to filter out UV and sunlight. If it gets dark, the visor becomes transparent again. Very cool, very useful and very safe. Much better than wearing sun glasses (some folks swear wearing sunglasses is really dangerous in an accident) but also better than many of the dual-visor systems and the fiddle and condensation problems people sometimes complain about with them. 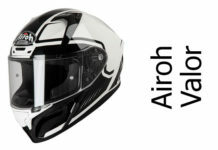 This new system works and works well and, if the cost of the visors isn’t restrictive, is bound to become commonplace amongst certainly the higher end of the crash helmet market as well as a popular after market replacement. Good one Lazer. The chin guard is easy to open using a slider that, again, works easily with a gloved hand. It’s made of plastic so seems a tad more flimsy than the carbon fibre shell but shouldn’t cause a problem – especially as the Monaco is double-homologated, meaning it can be ridden legally with the chin guard up or down. The Lazer Monaco features a micometric buckle which is supposed to be undoable with one hand and works well (though it’s pretty unusual and takes some getting used to). And last (and least!) the Monaco is a high tech crash helmet in more ways than one. It comes as standard with blue tooth cabling and controller built in. So should you be hurtling through the twisties and decide to change the track on your mp3 player or take a call from the wife about what she’s putting on for tea, you’ll be able to take the call (presumably before you put the Monaco’s other safety features to the test against the nearest dry stone wall. Not really a fan of riding distractions here!). So there you have it. A light, well thought out and designed flip up helmet. There’s several other good flip ups on the market such as the excellent Roof Boxer V8 and the Shark Evoline. The Lazer Monaco however, seems to have the edge. Best places to buy a Lazer crash helmet? We've chosen a couple of great places to buy from - whether it's a Lazer or any other helmet/gear. 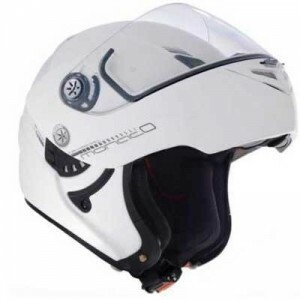 If you want piece of mind when you buy, SportsBikeShop are based in the UK and offer outstanding service (9.8/10 on Trustpilot) including free UK delivery and 365 day refunds. 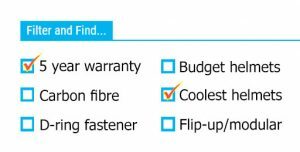 They're competitively priced too (with price match) and are our recommended retailer for quality of service. 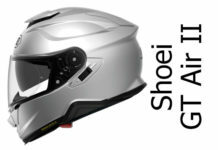 FC-Moto widely offers some of the best € prices, has a really wide range of helmets and is based in Germany. Note if you buy from FCMoto you'll have to add shipping charges on top if you're outside Germany. Note: please read FC Moto's entry here before ordering. Please click any picture/link to visit their Lazer helmets pages where you can see all the latest graphics and deals. And if you buy from any store, we get a small sum from the sale at no extra cost to you - a massive THANKS (it's how we finance the site)! If you’ve owned a Lazer Monaco, we’d love to hear what you thought of it in the comments section below! For other helmet reviews, please see either our All Crash Helmet Reviews section or our 4 & 5 star only SHARP helmet reviews section. Here you'll find all our Lazer crash helmet reviews and previews including full face, flip-up and open face helmets. OK it's expensive, especially for the carbon version, but you get a stack of features and a great performing helmet for your money. It's incredibly light for a flip-up helmet and scores very well in terms of safety. Should be a good home for your hard earned cash. Went on Get geared website, could not find Lazer monaco evo NOT FOUND, tried Sportsbike shop & E-Bay ex-large not in stock which only leaves FC Moto online only & nowhere to try one on, went to J&S in St Albans very helpful staff and after trying on about 6 prs M/c gloves some over £100 I was not impressed and eventually found a pr at £50, if I had done that online I would have been sending stuff backwards & forwards for weeks just to get a pair of gloves. Long live the retail store internet a long winded gambol! I have tried for over 3 years to order a Lazer Monaco Pure Carbon Size M from FC Moto (DE) without success. Again, about 3-4 weeks ago I ordered and paid for one which they advertised on their site. As per usual, 3 days later after the payment has gone through, they send an Email that the helmet in not available! It always takes half a days to get them on the Phone. After someone eventually answered, he said it was a mistake and should not be on the Web Site, so he would get the responsible person to remove it immediately. 3 weeks later it is still there and I guess they are still taking peoples money! I have had the Lazer Monaco Carbon for 3 weeks now. Here is my opinion so far. It’s now become my default helmet and I haven’t worn my excellent Shoei Neotec since I have bought the Lazer. The lightweight is a god send for pizza delivering after 5 hours I have no neck ache or fatigue, to be fair it wasn’t an issue with my neotec either. I have worn it in torrential rain and not one leak has appeared. The pinlock works 99% of the time with just a little condensation appearing at the centre bottom of the visor (may need a re-fit). The visor is fantastic and we have the best of both worlds nice and dark in the daylight and clear at night. As previous reviewers have said it fits a little tight,particularly around the ears, I may order some different size cheek pads to help loosen the fit a bit, but going to see if it loosens up over more time. Its not as comfortable as the neotec but I always wear a thin neck tube over my head as a liner to keep the liner clean. All in all I am very pleased with the helmet and glad I bought it rather than the new Neotec 2 which has just come out. I have ordered my Lazer Monaco white carbon which has been delivered ,not tried it yet but will write a report when I have tried it. I am a 15,000 miles per year rider and a motorcycle courier so it will get a good test. Bought my lazer monaco evo from FC-Moto and got great service at a reasonable price for such a great helmet. 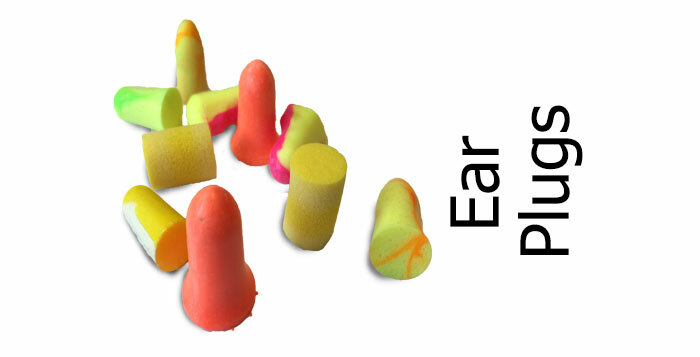 Fit is spot on though I found it tight around the ears at first but soon settld into a good fit. Can’t say the pinlock casues any issues (see previous reviews) as it is set into the visor so shouldn’t catch the visor seal. Have had no issues with water ingress in rain. Ventilation is superb but agree there is a draught around the back of the neck, but clothing adjustment sorts that out. Transitions visor is brilliant, very quick to react so have had no issues on days of variable cloud nor riding through tree lined roads. Can look almost black from the outside but gives clear vision with no sense of being vulnerable as the light fades. Yes the helmet is not cheap, but you get what you pay for and in that sense it is good value for money. Strength and protection test suggests it is going to do the business as well. I would recommend trying this helmet, – and often do. 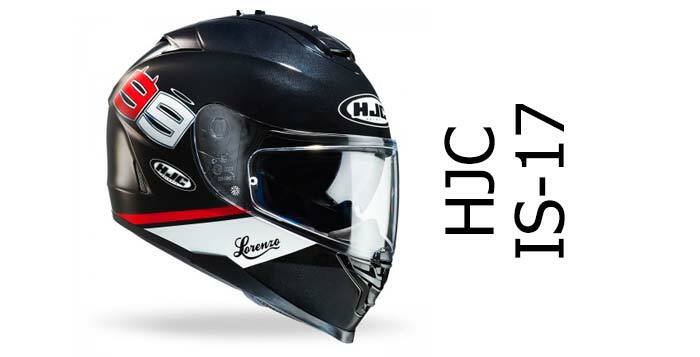 Helmet wears really tight and I’ve got less noise comparing to my HJS IS-17. – Once antifog is installed it will damage helmet top rubber sealing each time you open and close visor, so you will need to replace sealing roughly once in 1-2 month. Damaged sealing can cause water leakage inside helmet in dounpour. – Photochromic visor is cool and expensive, however I feel it’s not dark enough when sun is low (winter mornings). Once sun is high and bright – no prob. Also this problem might not be for everyone, as I’m wearing eyeglasses. – Also I’m not sure if it’s only my problem because of windshield, but I have airflow going to my neck while I’m riding, so this is cool for summer but not fun for winter rides. Also want to mention that Lazer support is the best support I’ve ever faced. They replied to my 9AM email within 3(!) minutes and were very nice and helpful. 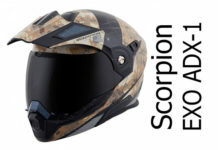 I purchased this helmet with big discount (330 euros vs 460 for original price). And for that money it’s a great helmet. I will think about purchasing updated Monaco Droid version for my passenger if they have at least some issues described above fixed. Agree in all your opinions. Chinbar in the old model close in front the mouth. Very dificult to use the bt microphone. No space in between. They say the new one y 2mms bigger, that could be perfect. If coyld buy a new chinbar for my monaco if it fits, because for me that is the worst part if the helmet . Bt one button is very dific lt to use. For some products the saying goes; “There’s more to this product than meets the eye”. 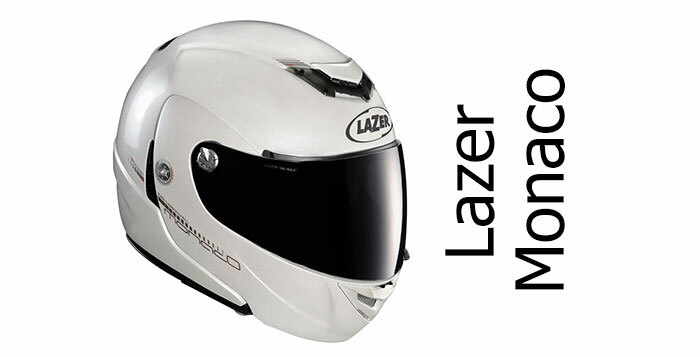 But in the case of the Lazer Monaco helmet, what’s more to this helmet is what meets the eye! Not only is the Lazer Monaco an outstanding value with its “Solex Transistions” lens with built-in pin-lock anti fog capability, lite weight and excellent ventilation; but the helmet is built with a level of finesse that is outstanding. The attention to detail invested in this helmet’s design is extraordinary at this price point. And what meets the eye? …. it is wicked good looking!